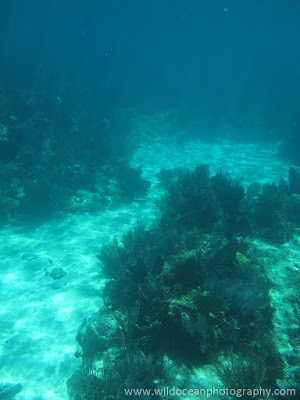 Well it only took nine months, but we finally sorted ourselves out for long enough to take a snorkelling trip off the Florida Keyes and it was beautiful! 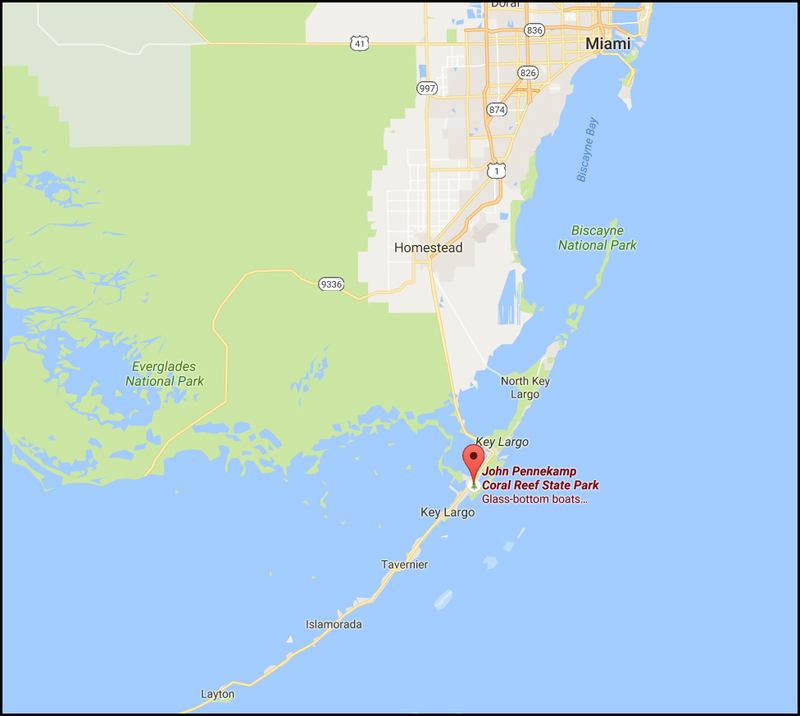 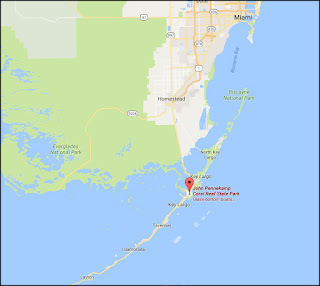 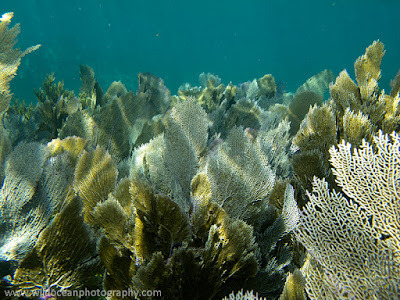 We booked a trip with a tour operator in the John Pennekamp Coral State Park and headed about five miles offshore to the Key Largo Dry Rocks reef where we were treated to an awesome array of fish (as well as a sadly not-photographed 2 m-long nurse shark!) 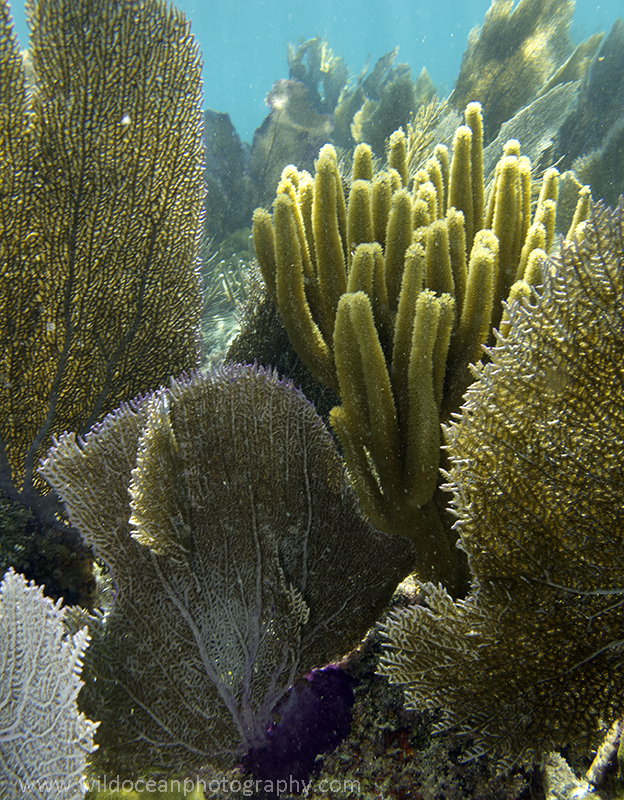 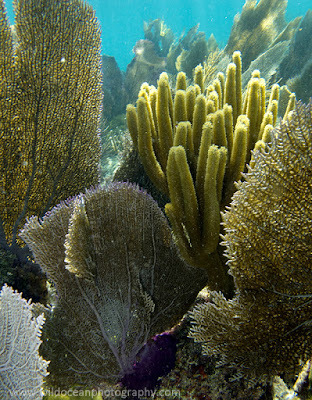 and a beautiful reef of corals and a TON of soft corals (like seafans and black corals). 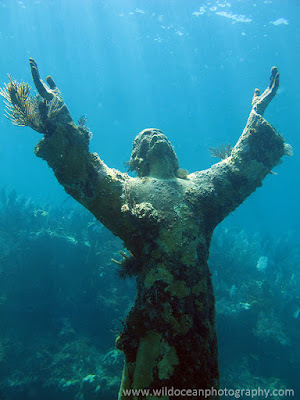 Oh aye - Jesus was there too! This is a bronze statue called "Christ of the Abyss" and it sits at around 6 m depth just off the reef. Apparently it was placed there in 1965 and has been gradually accumulating marine life ever since. 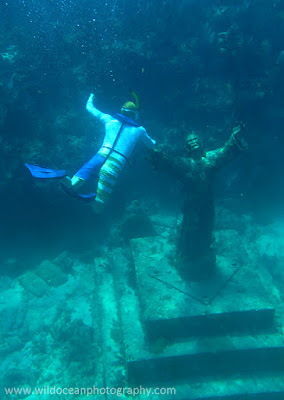 It's also become a tradition for snorkelers and divers to touch the statue's hands.